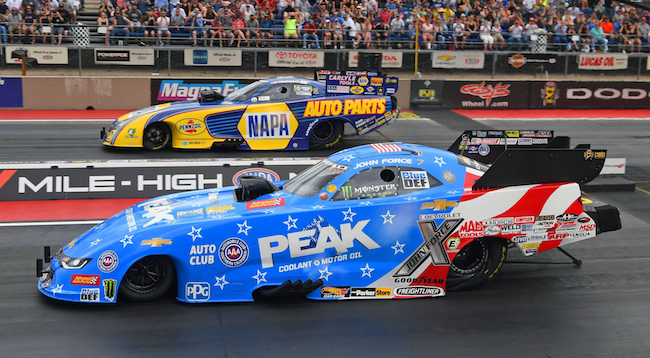 Chevrolet has locked down its 23rd NHRA Manufacturers Cup, further extending its record as the most successful automaker in the history of the drag racing series. The NHRA Manufacturers Cup is awarded to the automaker whose current model year vehicles accumulate the most points over the course of the NHRA Mello Yello Drag Racing Series and Lucas Oil Drag Racing Series seasons. Points towards the championship are awarded in the Funny Car, Pro Stock, Super Stock and Stock Eliminator classes. 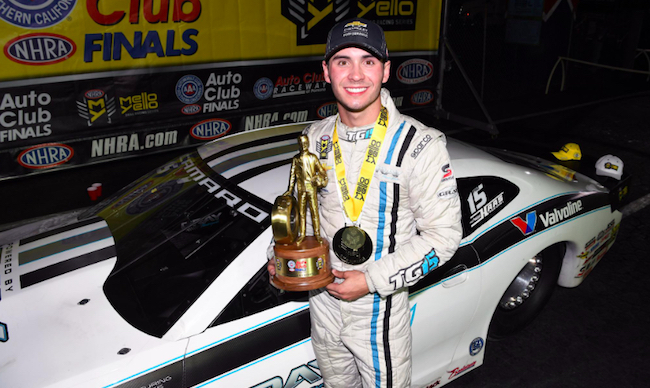 The series also awards points in the school of Automotive Machinists and Technology (SAM Tech) NHRA Factory Stock Showdown series. Other standouts of the season included 2017 NHRA Funny Car world champion Robert Hight’s four class victories, which helped make him the Funny Car runner-up for 2018. Courtney Force also took four Funny Car victories for Chevrolet, with John Force also chalking up a single Funny Car victory to bring his career total to 149. The Camaro Funny Car body currently has 53 wins to its name, making up a good portion of Chevy’s 133 class victories since 1967. Chevy also took the Super Stock championship after Justin Lamb won the category in his 2010 Chevrolet Cobalt SS. The always entertaining Stock Eliminator class was also won by Brian McClanahan in his 1969 Camaro. While it didn’t contribute to any points, Brittany Force chalked up a single win at Houston in 2018 and was the No. 1 qualifier twice in her Chevrolet-powered Top Fuel dragster. Team Chevy will return to try and take its 24th NHRA Manufacturers Cup title when the 2019 NHRA season gets underway in February.